I work with a Juggalo photographer named Beardo occasionally, either shooting next to him at concerts and Juggalo events or in jointly run photo events such as our Hippie Shoots of 2016 and 2018. 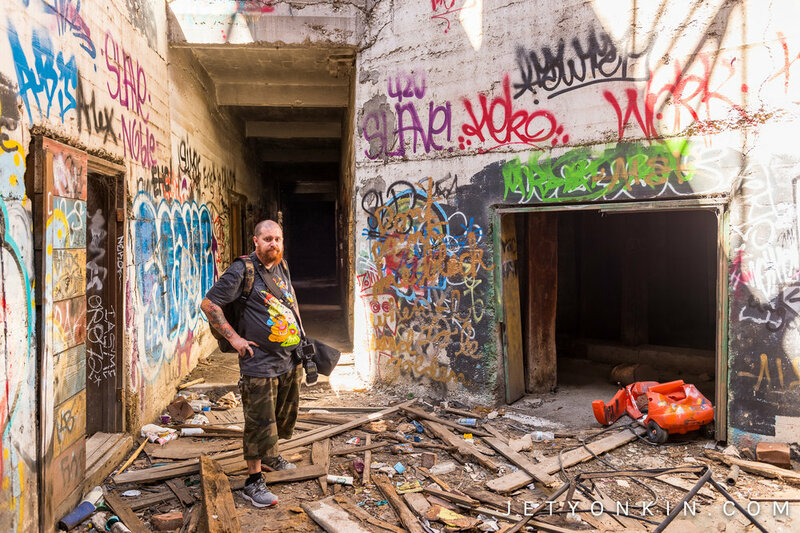 Here is a shot of the Beardo in his natural habitat as he often likes to photograph women with tattoos in abandoned buildings covered in graffiti and has even had his work on the cover of Horrorcore Magazine. Beardo also modeled for a redhead portrait project of mine that can be seen in a previous blog post here. Visit Beardo Photography on Facebook to see more work from this Fort Worth, Texas based artist.